This is the old school house on Loughton road old Bradwell. 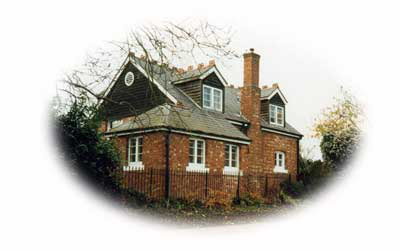 It was built in 1891 by the London and North west Railway company and was used as the village Infants School until 1959. During the war years its long term Headteacher Mrs. Willet was in charge. Today it is a private house but you can still get a good idea of what it would have been like if you imagine it without the windows in the roof and the garage and extension on the side. Roll over the picture to see the effect.